What is your Favorit Barbie Elfen movie? Do Du think Barbie should make fourth Elina movie instead of modern movie oder another monotonous fairy movie? Do Du think Linden is ugly? Die Fanauswahl: No, he's not ugly. a comment was made to the poll: What is your Favorit Barbie Elfen movie? a comment was made to the poll: do Du like Barbie fairytopia? a comment was made to the poll: Do Du want Barbie to play a fairy princess? 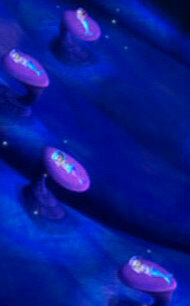 (Mariposa) How many merbabies that the sea beast guard?